POKER COACHING FROM RENOWNED POKER AUTHOR BEN HAYLES FROM JUST $75/HOUR. Ben Hayles aka “gamb64”, is the renowned author of one of the best poker books of the decade, Postflop. From Manchester, England Ben is also a professional poker coach, specialising in No Limit Hold'em MTT (multi-table poker tournaments) and SNGs (Sit n' Go poker tournaments). Ben is a successful player of 18 years. He turned his hand to coaching poker in 2007 and now coaches poker full-time. Ben now chooses to focus on coaching poker students over playing poker for 3 reasons. Ben gets a great deal of pleasure in helping others achieve their poker goals. Ben's poker coaching style is about guiding people along the pathway to becoming more successful poker players. 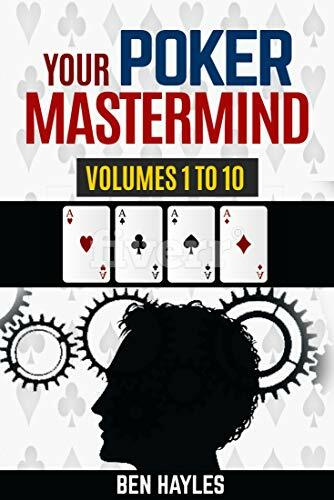 This involves the deconstruction and then reconstruction of a student’s thought processes so that every student learns to think more effectively and will eventually become capable of self-improvement with little or no need for poker coaching. Ben is sensitive to each individual’s learning style and can adapt his poker coaching to suit you. Choosing the right poker coach is important. You need to find not only a poker coach who is skilled and experienced enough to guide your poker development, but you also need to find a poker coach with the right teaching style and rapport. Ben offers a free 30-minute consultation with over Skype (benssun2). This is a great way of determining whether his poker coaching service is right for you. Ben will get in touch with you soon. Here is a quick guide to help you prepare for your initial free poker coaching 30 minute consultation. Questions – come armed with questions. Lots of them (we also have a useful FAQ below). Database Analysis – Ben is an expert at database analysis, especially HM2. Having Holdem Manager or Poker Tracker will aid the efficiency of the poker coaching sessions. Hand Replaying – Forms a large percentage of Ben's poker coaching, using either a replayer within your database or stand-alone software such as the Universal Replayer. During this time Ben will be deconstructing and reconstructing your thought processes using questioning drills. Preparing your own hands and questions for a session is highly recommended and an efficient use of time. Live sweat sessions – Ben does offer live ghosting, but actually this is not the most efficient use of time and for many players it will not be necessary. Help with other software usage – for specific areas eg ICM, push-fold or equity calculation. Practice hands – looking at prepared hands to illustrate a theme. Q: How much poker coaching will I need? Q: Can you teach me to play in live poker tournaments? A: Yes. Ben has played live at all levels and although his focus is on online play, the structure of the game is the same. Unless you are looking for specific poker coaching on kinesics, Ben will be able to help. Q: Do I need to take notes? A: Ideally yes, and you can also record the sessions with audio or video capture software. Ben can provide some course materials for you as well. Q: Can I invite a friend to a poker coaching session? A: Yes, but you will need to discuss this with Ben first. Group sessions can work out cheaper, but there are drawbacks too as you will lose valuable one-on-one time. Q: I have serious issues with tilt control. Can you help with that? A: Yes. Absolutely. Nearly all aspects of Ben's poker coaching will help to guard you against tilt and he offers a unique 1 hour presentation dedicated to the psychology of the game. Q: Do you charge for time spent on emails or answering questions between sessions? A: No. Never. Ben is very generous with his time and is dedicated to helping his students achieve their goals. If a poker coaching session overruns by 10 minutes, this is not charged for. Q: If I need to cancel or change an appointment for a poker coaching session is there a fee? A: No. Please give as much notice as possible. Q: How do I make payment for my poker coaching sessions? A: You can pay here or use bank transfer, paypal or Skrill.